Manneh Diana, France - bpw-leadershiplifelonglearnings Webseite! Diana Manneh is the CEO of Agilika consulting and coaching company in France. 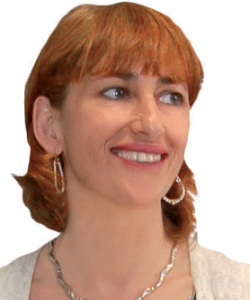 She is an executive coach specialised in change management and conflict resolution in corporations. She works with teams in various cultures and languages. She speaks four languages fluently. Over the years she saw a profound need for mentoring leaders in how to effectively overcome the common traps inherent in the layers of corporate management. She assists managers in personal, relationship, management and organizational issues. She helps organizations to build the internal competency to manage change effectively through team building and inspired shared vision. Together with the clients she finds solutions to build their leadership capacity and achieve their goals. She assists people to develop their skills necessary to improve individual and team performance, to build a culture of accountability and creates lasting and sustainable change. Diana is Past President of BPW Lyon. She attended the BPW International Leadership Summit in New York. She contributed to inclusions and she is currently translating the content to French.